This is another novel I was advised to read for English but I also wanted to read this myself and boy am I glad I did! When I was reading this I really wasn't expecting what I got from this novel - in a good way! Frankenstein get on my nerves! The main thing that surprised me was the storyline. Before reading this, all I knew was that a scientist created a monster which he lost control of and went round killing everyone. But after reading this I am really surprised at how much more there was to this book than I thought; it's so underestimated! The copy I read was split into 3 volumes, one of which was under the point of view of the monster himself! 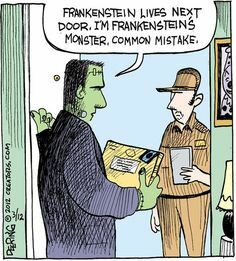 (The monster isn't called Frankenstein. (Victor) Frankenstein is the name of the man that creates the monster... ) I had no idea this was even in the book so it was really interesting to hear his background and side of the story - as I said, totally unexpected! Another thing I liked about the book was that the English is easier to read than other classics. Because this book wasn't published as late as other classics, the language is relatively modern (there's still a few words I had to look up the definition of) meaning it's a good book for those people that want to get into classics but want an easier novel to start with. I was recommend this book to literally anyone. If you like gothic/horror genres, read it. If you want to try somethign new, read it. 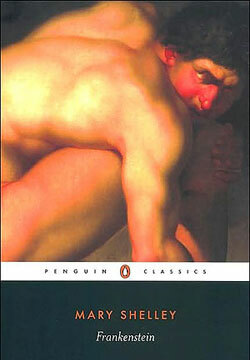 If you're interested in starting classic novels, read it. This is such a well known novel that should be read because it is so underestimated! Darkness had no effect upon my fancy and a churchyard was to me merely the receptacle of bodies deprived of life, which, from being the seat of beauty and strength, had become food for the worm. Am I thought to be the only criminal, when all human kind sinned against me? Great pick for this month! to enter to win one of the books. Thanks for the follow, I followed you back! Thank you Tanya! I'm not really into science fiction either but this is a classic and I love the Gothic genre! I do read a lot of Gothic... If you have read any novels you thought were amazing please recommend them to me, I need a new book to read aha!